Labour Behind the Label, as part of the Clean Clothes Campaign, has been campaigning since the disaster in April 2013 to demand that brands and retailers provided compensation to its victims. Since then over one million consumers from across Europe and around the world have joined actions against many of the major high street companies whose products were being made in one of the five factories housed in the structurally compromised building. These actions forced many brands to finally pay donations and by the second anniversary the Fund was still $2.4 million dollars short of its $30million target. A large donation received by the Fund in the last few days has now led to the Fund meeting its target. 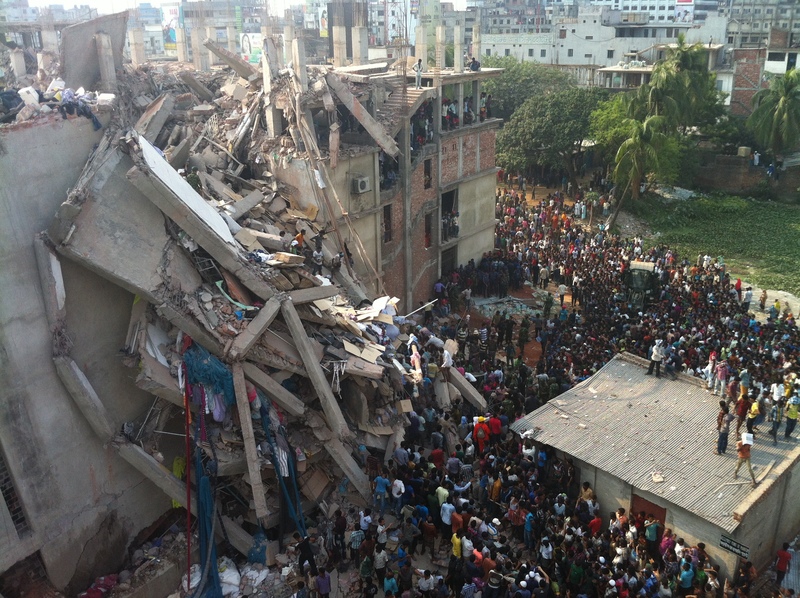 In November 2014 the Rana Plaza Coordination Committee announced that is would need around $30million to pay in full over 5,000 awards granted through the scheme. 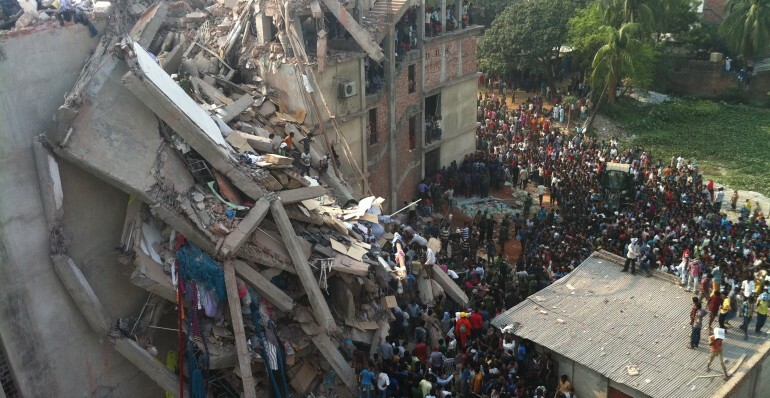 However, the failure of brands and retailers linked to Rana Plaza to provide sufficient and timely donations into the Fund has, until today, prevented the payment of the awards from being completed. The Clean Clothes Campaign will continue to support the Rana Plaza victims who are persuing further payments in recognition of the pain and suffering inflicted upon them as a result of corporate and institutional negligence. These payments fall outside the scope of the Arrangement. The CCC also calls for policy changes to ensure that those affected by future disasters will receive more timely support. They welcome a new initiative by the ILO in Bangladesh to develop a national workplace injury scheme for the country’s 4 million garment workers. They also urge European politicians to develop better regulation of supply chains to ensure that brands and retailers are held properly accountable in the future. “This is a huge victory – but its been too long in the making” says Ineke Zeldenrust from CCC: “That brands with a collective annual profit of over $20 billions took two years and significant public pressure to come up with a mere $30 million is an indictment of the voluntary nature of social responsibility. We now need to look at ways to ensure that access to such remedy is provided by brands and retailers as a matter of course, and not only when public outrage makes doing nothing impossible.